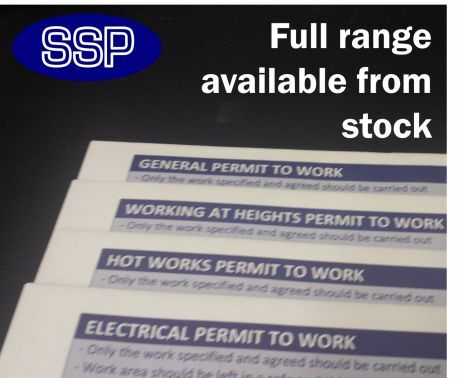 Sold in packs of 25, these popular Working at Heights Permits to Work are designed to ensure Contractors comply with all relevant Health and Safety Legislation and the Company's health policy. They also help businesses establish whether a contractor has Public and Employees Liability Insurance, and can provide a Method Statement on request. 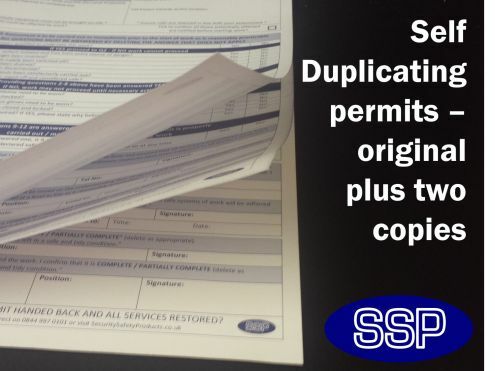 Each Permit is made up of an original top copy and two duplicate sheets. The back copy is made of card. 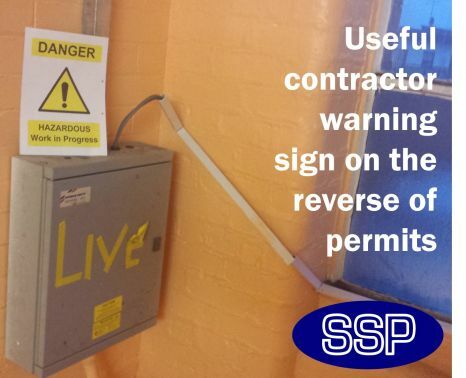 On the reverse of this is a temporary warning sign should the contractor be required to display this while on site. 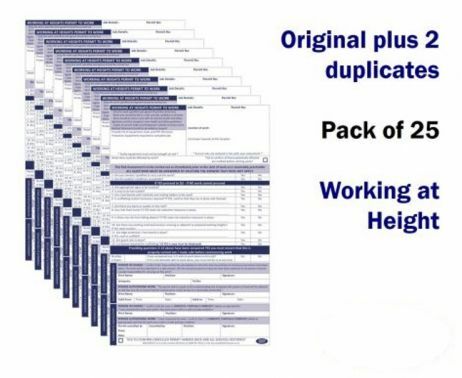 Prior to starting any relevant work this self-duplicating RISK ASSESSMENT should be carried out by a contractor. 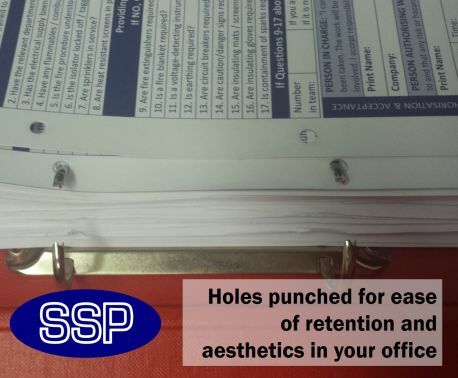 On completion the top copy is held by the contractor and, importantly, the secondary copy is retained as a permanent record by the office. Are you qualified / trained to undertake this work? Are appropriate signs to be erected? Is area to be barricaded? Are crawl board with handrails and roofing ladder to be used? Are there any ducts or outlets on the roof? Is there any risk from falling objects? If yes, state risk reduction measures in place? Are there any existing overhead services crossing or adjacent to proposed working height? Are guard rails in place? 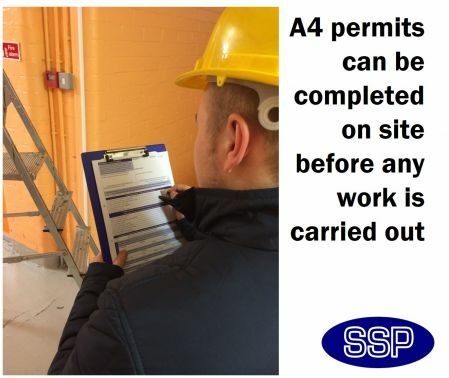 Is a license required for scaffolding? 1. What did you think of the service? Excellent service with help after issue with the internet order. 2. What did you think of the product? Putting the product into practice this week and will see if the company finds them effective and easy to use. 3. Was the website easy enough to use? 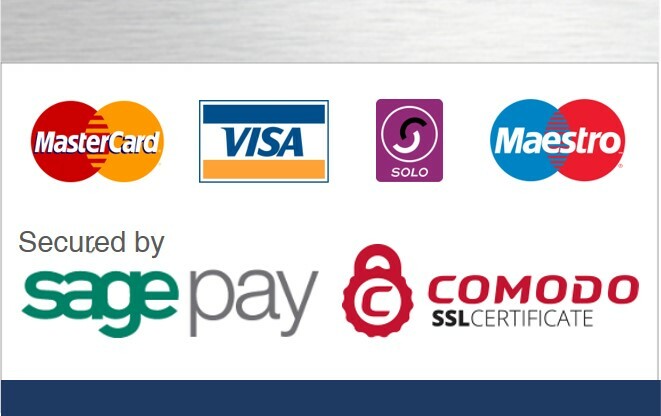 The web site was easy to use however there was an issue with payment site. My company has just introduced a permits to work system as part of our Safe Systems of Work review for contractors. 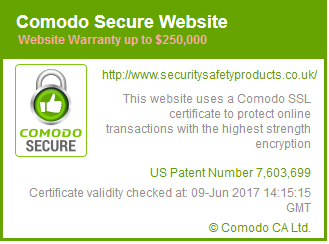 I was looking around for a supplier and found your website. 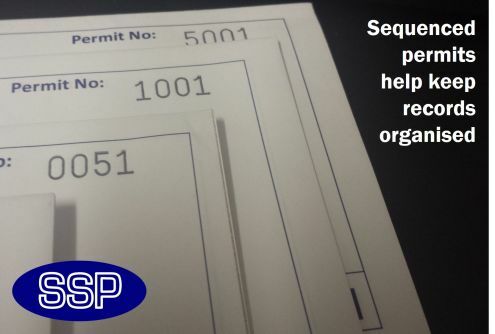 We may order more types or quantities depending on how good/suitable we think the permits are.